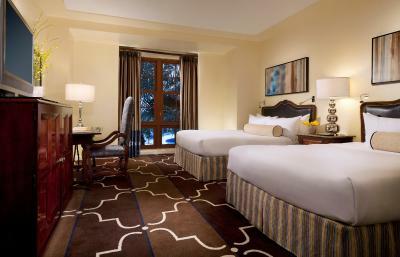 Lock in a great price for Green Valley Ranch Resort Spa Casino – rated 8.9 by recent guests! The cafe took 25 minutes to get us coffee, party of 12, and I had to request it from the manager twice. After my second request the manager finally followed up and made sure our visit went smoothly. We ate at the buffet twice and all was great! The spa and the spa pool area were fabulous. Best massage I have ever had! $5 minimum table games were a real bonus. The Strip has gotten made it too expensive to gamble. GVR is very friendly and reasonable. 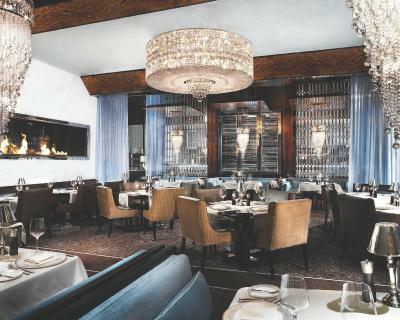 The District is a real plus with some excellent restaurants. Property was exceptionally clean and well designed. Hot tub was great! 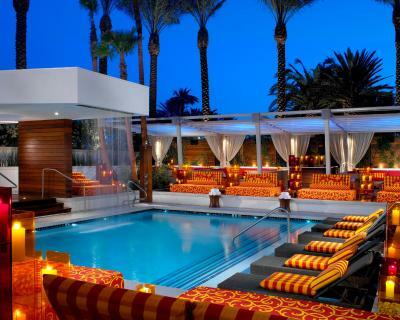 Gorgeous resort! Loved all the amenities available. 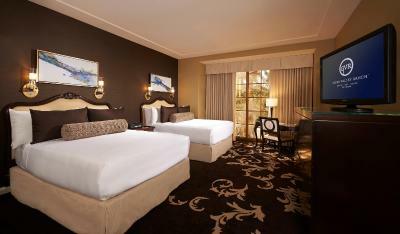 It is set with a gorgeous views of the desert and the lit up Las Vegas strip. Polite Staff. Bed was comfortable. Large Tub in room. Room Service. Pool seemed nice but it had recently snowed and was way too cold! Nice and clean facilities. Away from the casino noise. Friendly staff. Beautiful carpet, lots of water pressure in the tub, nice marble counter tops. Valet complimentary and pool area very pretty. Location if desire away from strip is good as it is not far and surrounded by many stores, restaurants and activities. 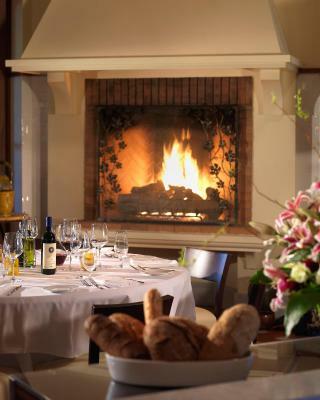 Very beautiful hotel with nice restaurants and upscale eateries. I usually stay at M Resort Spa when in town for business but they were booked so I ended up here instead. It's been on my radar for some time now and I'm glad I finally had the chance to stay, I will be staying here again! 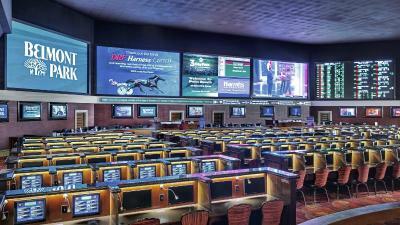 Green Valley Ranch Resort Spa Casino This rating is a reflection of how the property compares to the industry standard when it comes to price, facilities and services available. It's based on a self-evaluation by the property. Use this rating to help choose your stay! 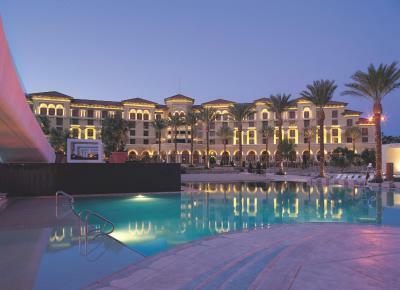 Providing guests with vibrant entertainment, recreational activities and 8 restaurants, this hotel and spa in Henderson, Nevada is only minutes from the attractions of Las Vegas. 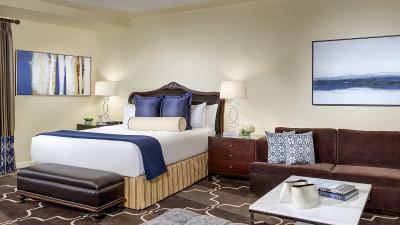 Each European-styled room at Green Valley Ranch Resort & Spa features a deep soaking tub and a separate glass shower, a fully stocked minibar and a cable TV with pay-per-view channels. Green Valley Ranch Resort & Spa features an 8-acre outdoor recreational area with private cabanas and infinity-edge outdoor pools. 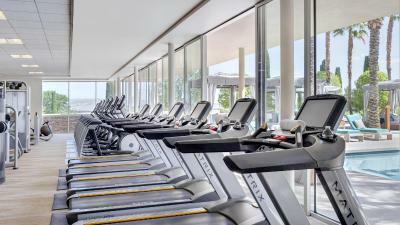 After working out in the fitness center, guests can relax with a massage in the spa or in the 24-hour hot tub. 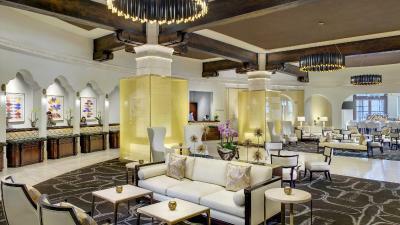 Guests can visit the hotel's helpful concierge for everything from transportation arrangements to dinner reservations. For on-site entertainment, guests can gamble in the casino or watch a show at the hotel's unique, outdoor concert venue. 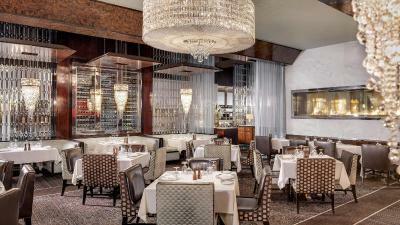 With a variety of restaurants and lounges, visitors at the Green Valley Ranch can enjoy everything from authentic Italian cuisine to fine steaks. 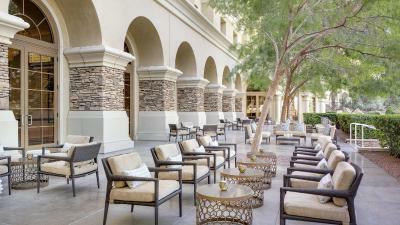 In the afternoon, guests can have a light lunch at the poolside cafe. T-Mobile Arena is an 18-minute drive away from the property. McCarran International Airport is 8 miles away. 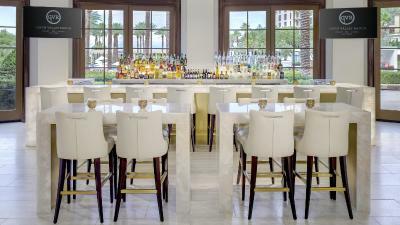 Henderson is a great choice for travelers interested in food, restaurants and people watching. 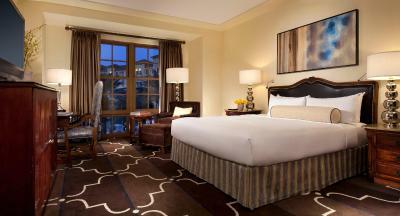 When would you like to stay at Green Valley Ranch Resort Spa Casino? Showcasing a private bathroom with a deep soaking tub and a separate glass shower, this European-style room features a fully stocked minibar. Showcasing a private bathroom with a deep soaking tub and a separate glass shower, this European-style room features a fully-stocked minibar. 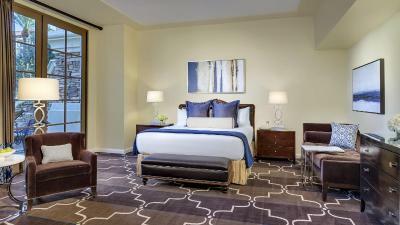 Featuring a view of the Las Vegas Strip, this European-style suite includes a fully-stocked minibar. The private bathroom features a deep soaking tub and a separate glass shower. 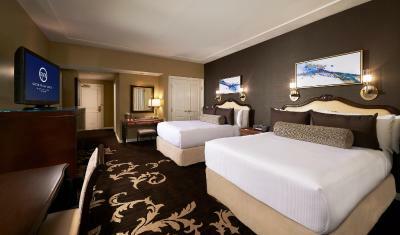 This spacious superior room offers a king bed and a seating area, along with views of the resort pool area and the Las Vegas Strip. It includes a plush down duvet and pillows, an executive work desk, a 42-inch TV and a stocked mini-bar refreshment center. Room features a stereo alarm clock with aux and Bluetooth input, an in-room safe and an over-sized bathroom with a deep soaking tub, a separate shower, a lighted vanity mirror and a private water closet. 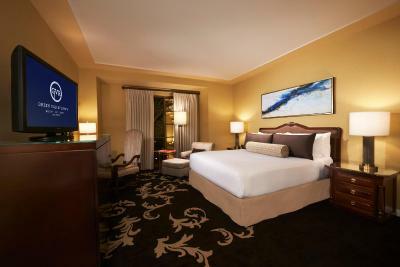 This spacious room offers a king bed and a seating area, along with views of the resort pool area and the Las Vegas Strip. It includes a plush down duvet and pillows, an executive work desk, a 42-inch TV and a stocked mini-bar refreshment center. Room features a stereo alarm clock with aux and Bluetooth input, an in-room safe and an over-sized bathroom with a deep soaking tub, a separate shower, a lighted vanity mirror and a private water closet. This spacious suite includes a parlor with a seating area and a 150 square foot private patio with serene views of a vineyard and the resort pool area. Suite has a plush down duvet and pillows, a large work desk, a 42-inch TV, a stocked mini-bar refreshment center, a stereo alarm clock with aux and Bluetooth input and an in-room safe. The over-sized bathroom has a deep soaking tub, a separate shower, a lighted vanity mirror and a private water closet. 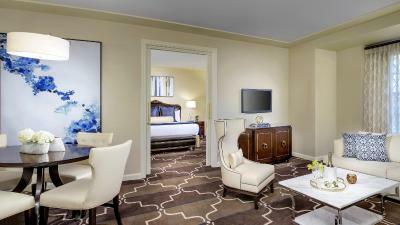 This spacious suite includes a parlor with a seating area. It has a plush down duvet and pillows, a large work desk, a 42-inch TV, a stocked mini-bar refreshment center, a stereo alarm clock with aux and Bluetooth input and an in-room safe. The over-sized bathroom has a deep soaking tub, a separate shower, a lighted vanity mirror and a private water closet. This double room has a bathrobe, minibar and sitting area. 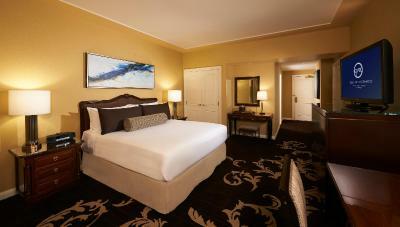 This extra spacious 1-bedroom suite includes a parlor and views of the resort pool area and the Las Vegas Strip. Designed with elegant modern décor, the large parlor offers an entertaining space, including an over-sized L-shaped sofa, a 65-inch television, a Bose stereo with CD player, a dining table with seating for 8 and a half bath. Master bedroom includes a king sized bed and a seating area, a 42-inch TV, a large marble bath with a jetted bathtub, a steam shower, a 15-inch TV, dual sinks, a lighted vanity mirror and a private water closet. 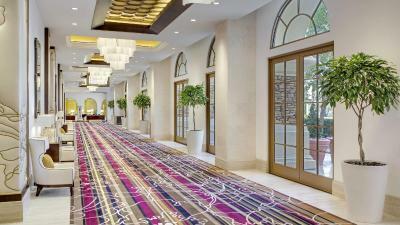 Additional amenities include VIP check-in, welcome amenity and round-trip limousine airport transportation. 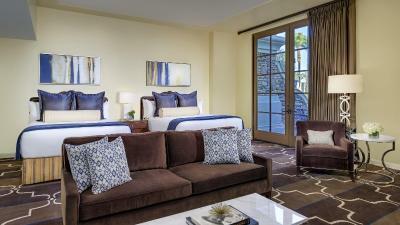 This impeccably appointed 2,200 square foot 1-bedroom suite with parlor features French doors overlooking the resort pool area and views of the Las Vegas Strip. The expansive parlor has a generously sized work desk and space for entertaining, including L-shaped sofa with an over-sized ottoman, lounge chairs, a pool table or a baby grand piano, a dining table with seating for 8 and a half bath. This suite has a bar with additional seating and a separate butler entrance, a 65-inch TV with an entertainment system and Crestron digital touchscreen controls for audio, visual and lighting with motorized drapes. The master bedroom features a king sized bed, a lounge chair, a 42-inch TV, a stereo alarm clock with aux and Bluetooth input and an in-room safe. 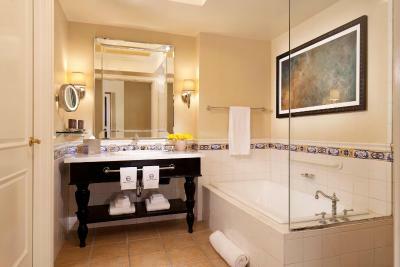 Suite offers “his” and “hers” twin baths. The “hers” includes an oversize jetted bathtub and separate shower, while the “his” includes a steam shower. Each has its own vanity, a 15-inch TV, a lighted vanity mirror and a private water closet. 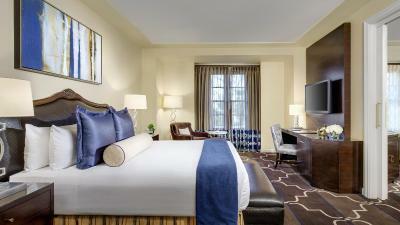 Additional amenities include VIP check-in, welcome amenity and round-trip limousine airport transportation. 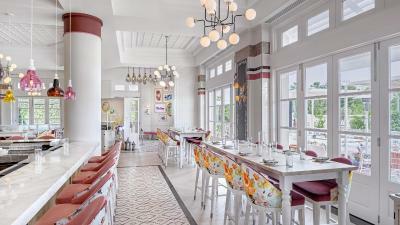 Area Info – This neighborhood is a great choice for travelers interested in food, restaurants and people watching – Check location Great location - show map Guests loved walking around the neighborhood! 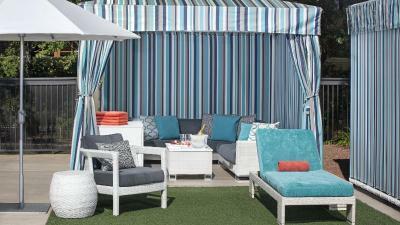 House Rules Green Valley Ranch Resort Spa Casino takes special requests – add in the next step! Green Valley Ranch Resort Spa Casino accepts these cards and reserves the right to temporarily hold an amount prior to arrival. - A per-night refundable security deposit is due at check-in (credit card required). Please contact the hotel directly for specific fee details. 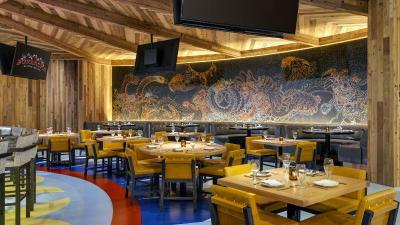 - Please note: Guest ID must match name of guest checking into room on the reservation. - Please note: For multi-room reservations please include the name of each guest for each room. 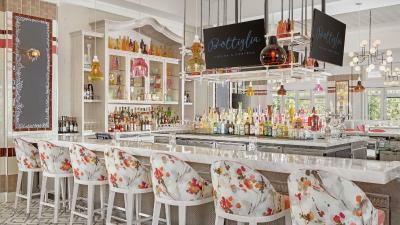 - Guests must be a minimum of 21 years of age check in to this hotel. 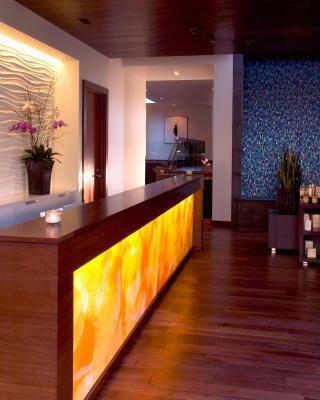 We'd stayed at the resort some months before and looked forward to being able to use the spa - a nice perk. 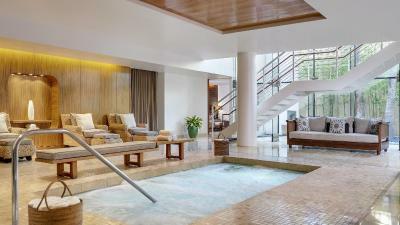 But beginning with April 1, there is now a $25/day fee to use the spa. There is already a $44/day resort fee tacked on the cost per day. As we don't gamble we were looking forward to the use of the spa. But now it's really only a room. Next time we will book elsewhere. Also the shower, perhaps the drain, had a bad smell...like from mold. The grounds and facilities are very nice. Service at the cafe and the temperature of the food at the buffet.. sadly the waffles and pancakes were only slightly warm. There is no coffee in the hotel rooms, which was disappointing and an inexpensive courtesy to extend to guests. Phone in our room didn’t work. Drain in our bathroom was clogged / slow to drain. We could hear car alarms from the parking lot (East Tower) throughout the night. All restaurants are in Casino Area, and the casino area is always filled with its of people smoking. Lots of smoke, poor ventilation. Yuck. Asked for a room upgrade (thought maybe we’d get one since weather was cold and hotel was empty)No upgrade given. Worst experience I’ve ever had at a hotel. The door key did not work. We were given new keys by front desk. They didn’t work. While waiting for the same front desk person who helped us earlier, Manager comes and “helps” us. Instead of listening to us, he gave us another set of new keys. They didn’t work. Engineer had to change the lock. Keys didn’t work again. Engineeer told us keys didn’t work because it wasn’t programmed correctly by front desk and gave us master keys that worked finally. This is what happened on the first day at the hotel. Needless to say, room key didn’t work a few more times and the sink was clogged (with simple hand washes) and engineer had to fix that as well. The only thing that was offered to us by the manager as compensation for our experience was a bottle of water and coffee. Will never ever ever come back here again. Period. Front desk was friendly and valet was great. Front desk didn’t have a idea about our reservation, we had made reservations month earlier with with many e-mails. Very rude conseair wouldn’t answer my wife. Oh yeah I never had not had a coffee maker in room. Nice place, rude staff. Probably stay at a different place next time.